Kami has a free version, and a paid version for educators. 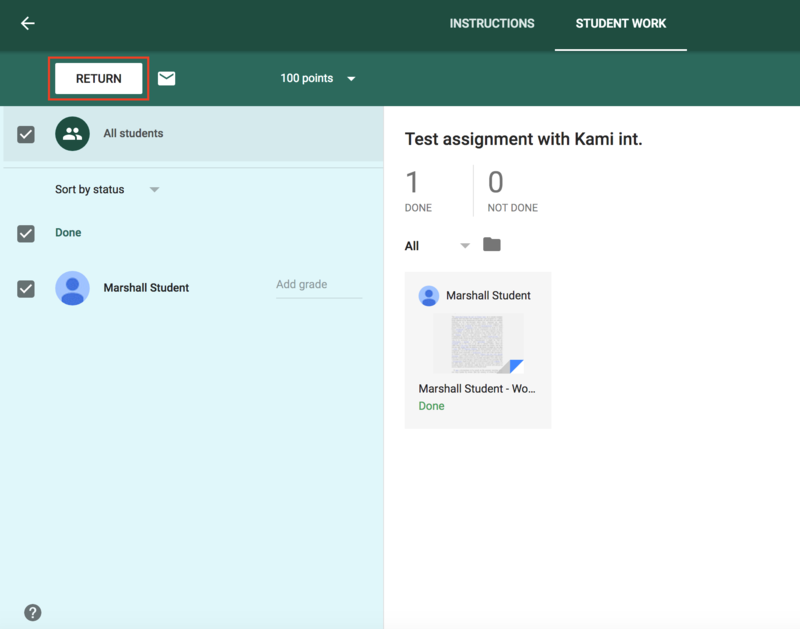 This article shows how to use Kami with Google Classroom on the free version. 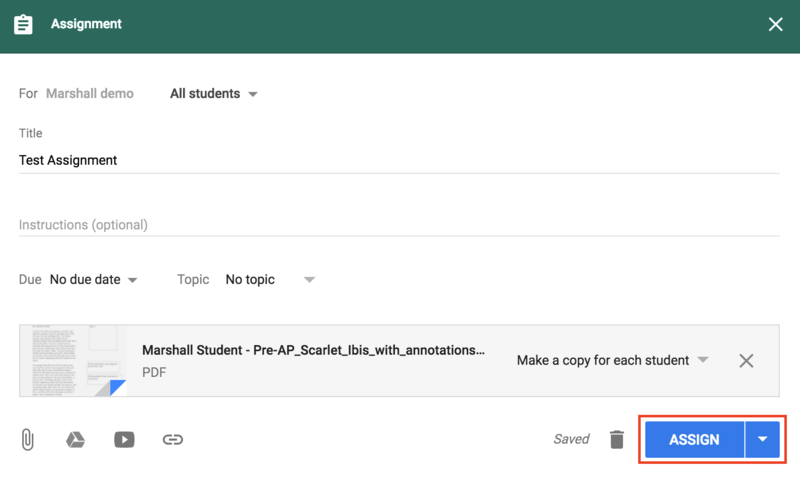 The paid version of Kami includes automatic save to Google Drive, assignment creation and a built-in Turn In button so that kids always turn in the right file. The free version doesn't include these improvements, but you can still effectively use Kami in class. 1. Create an assignment (announcements won't allow you to send individual copies). 2. Attach the file you would like to distribute to students and select 'Make a copy for each student'. Your students will receive an individual copy of the assignment. Here is how the students will turn in the assignment. 1. If they have the Chrome extension installed, the students can open the file directly from the Google file preview window. 2. The students can use the tool bar on the left to make annotations. When they have finished, they can save back to the file in Drive created by Classroom. 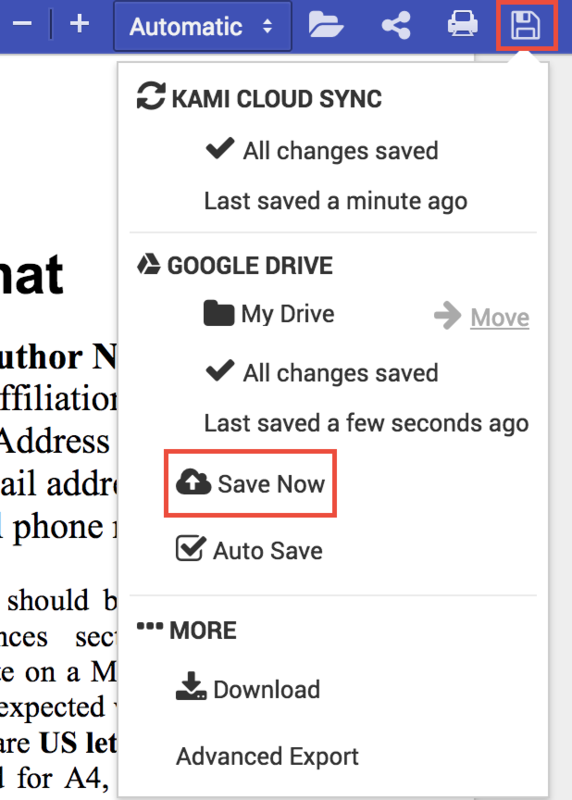 They do this by clicking the 'Save' button, which looks like a floppy disk, and then clicking the Save now button. 3. 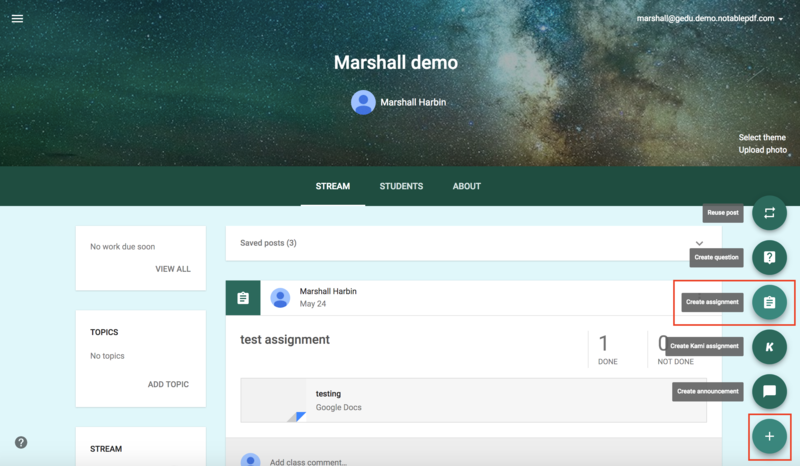 The student can turn in the assignment by clicking the Turn in button in Classroom. 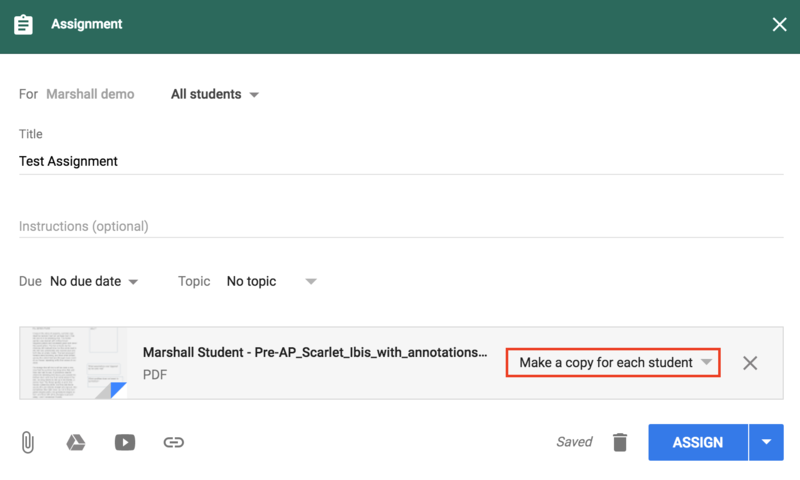 Optional: If you have corrections for your students, you can return your student's work from within Classroom. The students can then re-open the file. 2. The Kami Chrome extension and app installed in both your and your students' Chrome browser. To install go to the Chrome Web Store, or use the Google Admin panel to deploy (https://help.kamihq.com/getting-started-with-schools-license/how-to-deploy-kami-domain-wide-using-the-google-admin-panel).